The kudos Emily King has accumulated in her career qualifies her for star status. It’s an impressive list, one that includes a 2007 Grammy nomination for Best Contemporary R&B Album and, in 2012, the Holly Prize honors for songwriting. Still, as her shimmery sound suggests, she leans more on subtlety and nuance rather than the kind of flash that generally draws attention these days. Three albums on, she’s honed a blend of subtlety and sensuality to create a style that’s often as elusive as it is enchanting. Granted, that description does suggest a certain contradiction, and indeed, King’s hushed vocals are clearly a counterpoint to the propulsive rhythms that underscore the songs. It’s an ideal yin and yang: “Blue Light,” “Forgiveness” and “Remind Me” create a kind of tension between her tactile singing and the buoyancy of her melodies. 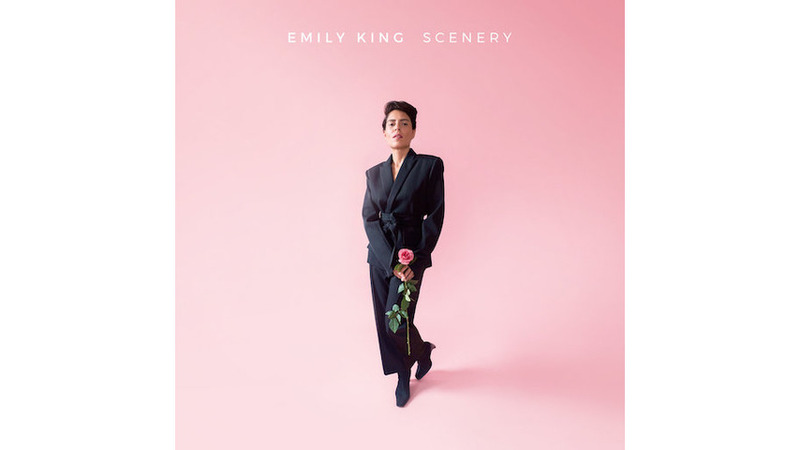 It’s worth noting that King composes all her own songs, and Scenery, her third full-length, reflects a marked maturity. On a song like “Running,” her voice seems to soar even despite her restraint. Bittersweet ballads such as “Go Back” and “Look At Me Now” have her exploring the contradictory nature of romantic entanglement in ways both soft and serene. She’s sincere as opposed to showy, and when she coos a line like “Maybe I’ll win, maybe I’ll never play/Maybe I’ll lose, maybe I’ll leave the game,” that sense of uncertainty is underscored by the willowy arrangements that shine at the fore. The vulnerability that’s implied in King’s calming vocal caress is remarkable in a way, especially when compared to the brazenness that accompanies much of what seems to pass for pop music these days. The skill she shows elevates her above much of the competition, imbuing her with a decided level of class and credence. King wears that crown well.